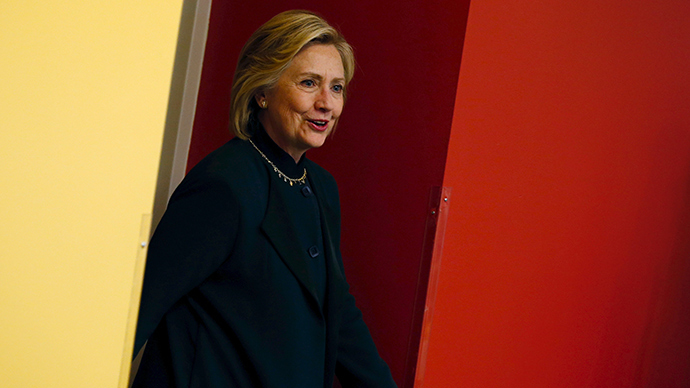 The US State Department is due to release the first batch of Hillary Clinton’s private emails. The Special House committee is investigating the 2012 attack on the US consulate in Benghazi, amid concerns about security in Libya well before the attack. The Special House committee is investigating the 2012 attacks on US interests in the eastern Libyan city of Benghazi, which claimed the life of US Ambassador Christopher Stephens and three other Americans. There were concerns about security in Libya up to 18 months before the attack took place. Clinton, who was Secretary of State at the time, expresses her concerns in numerous emails about the deteriorating security situation in Libya. The State Department drew up plans to release the correspondence after Clinton said she wanted to make them public and to requests from news media to do so. The New York Times has got hold of one-third of the 850 pages of emails, which add new details to the 2012 attacks in Benghazi. Some of them contain information deemed “sensitive” but not classified, such as the location of State Department officials in Libya during the 2011 revolution against the Gaddafi regime. One email, forwarded to Clinton from a close aide, Huma Abedin, contains information on the whereabouts of Stevens during the uprising and is marked sensitive but not classified. “The envoy’s delegation is currently doing a phased checkout (paying the hotel bills, moving some comms to the boat, etc.). He will monitor the situation to see if it deteriorates further, but no decision has been made on departure. He will wait 2-3 more hours, then revisit the decision on departure,” the email reads. The emails also reveal Clinton’s relationship with her confidante, Sydney Blumenthal, who sent her at least two dozen letters regarding Libya. Although Blumenthal was not employed by the State Department, he is believed to have been involved in a business venture in Libya at the time. In one correspondence he suggests that the September 11, 2012 attacks in Benghazi were inspired by a sacrilegious internet video about the Prophet Mohammed, which had originated in America. However, in another email sent on September 13, he suggests the attacks were in fact carried out by an opportunistic militant group. “The attackers having prepared to launch their assault took advantage of the cover provided by the demonstrations in Benghazi protesting an internet production seen as disrespectful to the Prophet Mohammed," he wrote. The State Department had proposed releasing all of . Clinton’s emails by January 2016, citing the time needed to vet them all, but this was rejected by a federal judge earlier this week, who instead they should be released bit by bit over the coming months. The intense interest in the emails comes in part from the fact that Clinton admitted to exclusively using a private email address for government work.